With hundreds or even thousands of furniture companies around the world, one of the most versatile is the company ROM. A company which was founded in Europe, originated back in 1961. From what started with selling baskets in 1961, ROM has escalated to one of the most marketable manufacturers in the world. The sole purpose of ROM is “Passion and Creativity”. Through this solid foundation, customers gain confidence and trust. With hands on customization, ROM encourages consumers to build the perfect Sofa such as the Salvo, Sectionals such as the Aura and Deimos, or Armchair such as the Twist for their homes. While providing flexible configurations, ROM specializes in comfort seating. These collections are available in 20cm (7 inch) increments which customers can configure their item larger or smaller depending on the space they have. For example, this allows customers the ability to add or reduce space on either side of the items. Down to the smallest details such as stitching colors, leather colors, and dimensions of each piece, reflects on the versatility customers have with ROM products. Advancing further into individual styles and tastes, ROM enables ‘special orders’ where clients can add electronic powered recliners, double recliners, or pull out beds on certain models such as the Zelos sectional. When configuring these electronic recliners, choices such as battery powered or plug in are available. Also, pull out beds are accessible in twin, full, or queen sizes. These memory foam mattresses offer unbelievable comfort that no “Jordan’s Furniture” pull out bed can match. 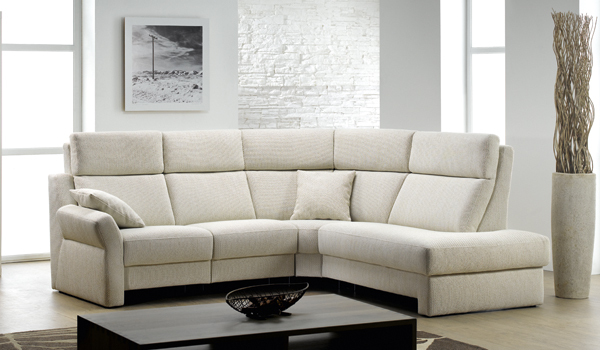 Beyond this, adjustable head rests on ALL seats can be appended on several models such as Artemis Sectional, Themis Sofa, or any Sirius models as well. When ordering any model, ROM exceeds any comparison against other manufacturers. It’s just not fair to other companies, because ROM puts every customer first, allowing them to choose or create EXACTLY what they want. After creating and choosing leather and stitch coloring, configuring special dimensions, and the ability to add recliners, beds, ect, ROM also lets consumers choose the leg finishes. On all models they have wooden or metal leg finishes available. 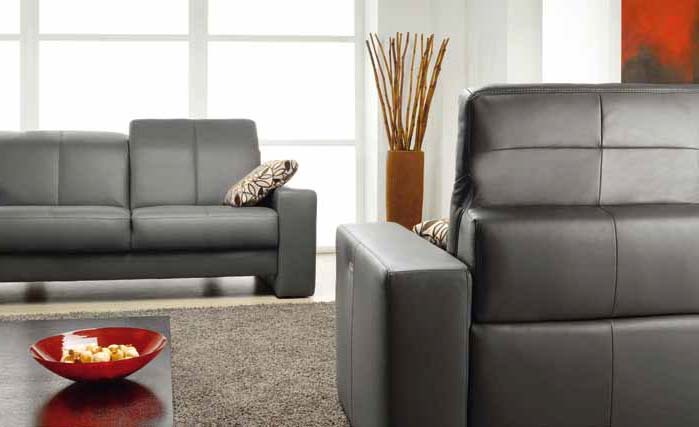 For example, customers could get the Dione Sectional with a chrome finish or a Twist armchair with oak wood at the base. As an authorized dealer of ROM, Italmoda is proud to offer a complete line of contemporary sofas, sofa beds and sectional produced by ROM. With Nashua store at 254 Daniel Webster Hwy, Italmoda is conveniently located only one mile north of the Massachusetts border into New Hampshire at a convenient intersection.